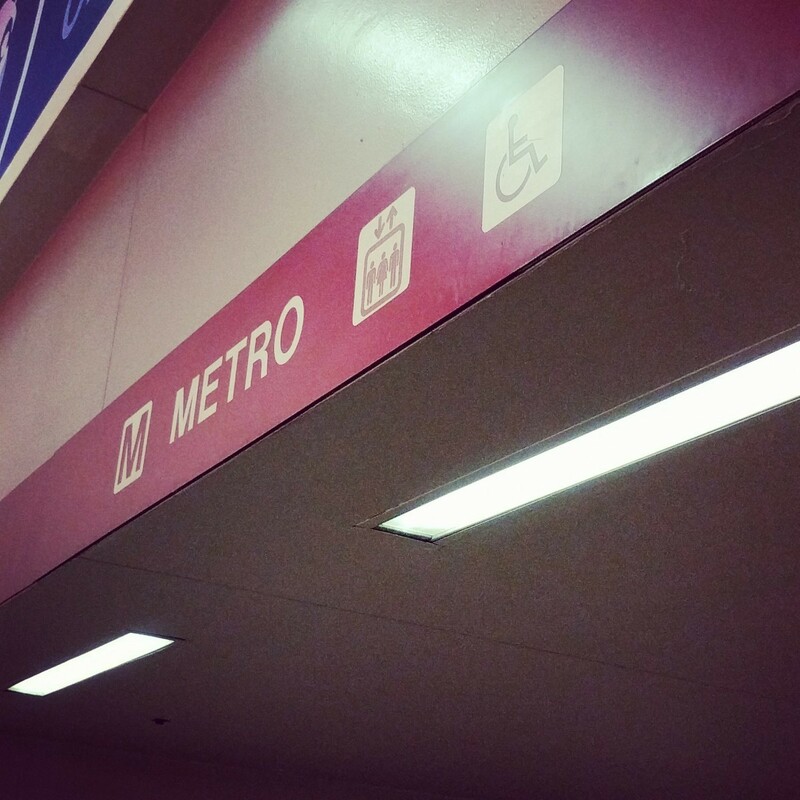 On Tuesday, we featured the 129th challenge to see how well you know the Metro system. Here are the answers. This week, we got 12 guesses. Only one of you got all five. Great work, AlexC! This week proved to perhaps be a little too challenging, which depressed the number of guesses. But the first image was a fairly easy one. 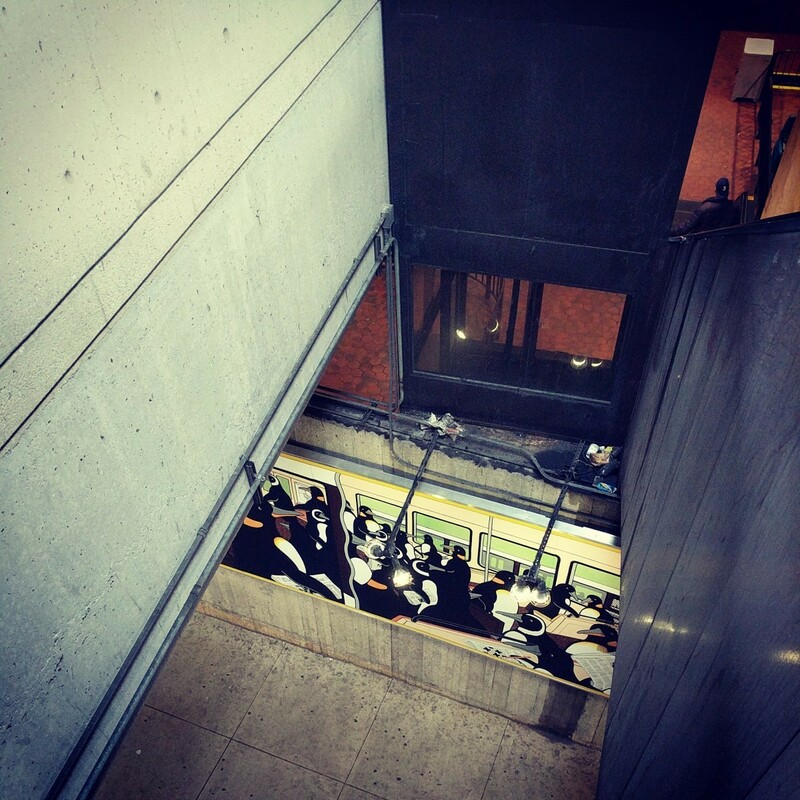 It shows a view of Penguin Rush Hour, artwork at Silver Spring, viewed looking down from the platform. This is one of the most recognized pieces of art in the system, and it is a wonderful, whimsical view of penguins riding the Metro. Eleven of you knew this one. 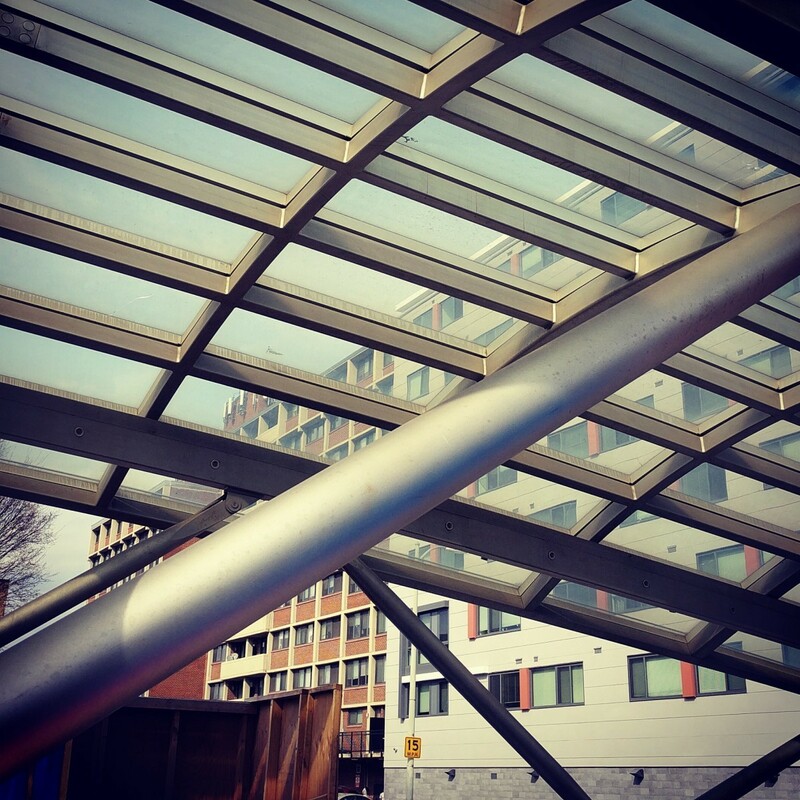 The second image captures the escalator canopy above the R Street entrance at Shaw station. In the background, you can see the imposing Lincoln Westmoreland Apartments, located at 1730 7th Street NW. A new expansion of this building is visible on the right half of the image. Recognizing the buildings here was a key to solving this clue. Five of you got this one right. 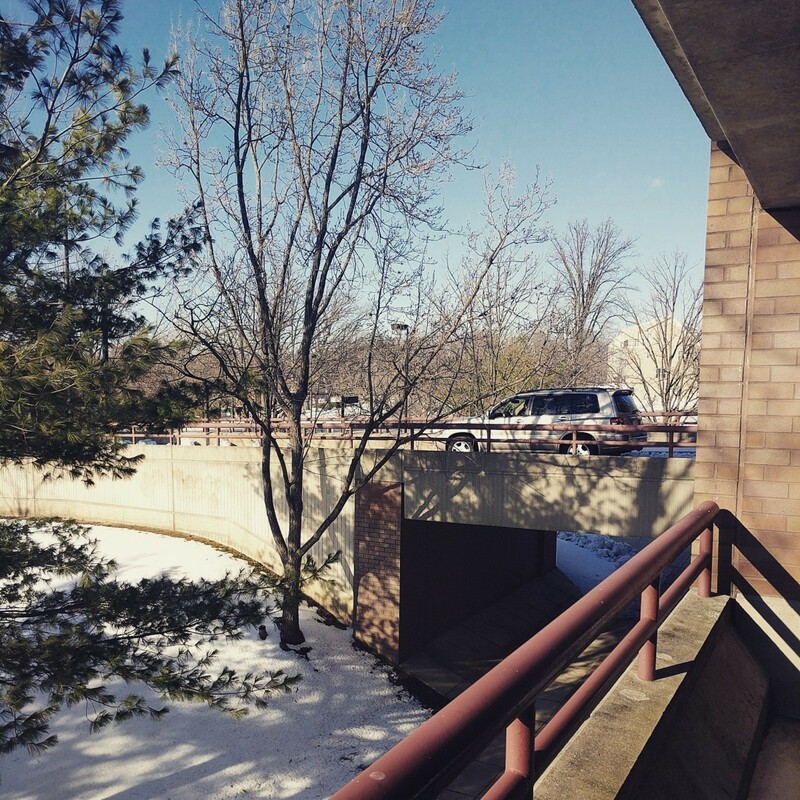 This image looks toward Glenallen Avenue from the second level of the eastern Glenmont parking garage. The distinctive railings may have helped you figure this one out. Additionally, the bridge here carries exiting garage traffic over a sidewalk leading from the station toward the new Glenmont Metrocentre development, visible in the distance. Three of you figured this one out. The fourth image was also challenging because I didn't provide much context. The signage here is on the Amtrak concourse at Union Station, above the hallway leading to the northern mezzanine, near Pret a Manger. This signage matches other signage in Union Station, and you may have been clued into the location by the digital advertizing board visible in the top left corner of the picture. Five of you guessed correctly. The final image was very challenging, and only two of you successfully deduced that this is Capitol South. There are a few clues here that should have helped you narrow it down. The waffle-style vault cuts the possibilities to 32 stations. Noting that this station has an island platform narrows the list further to 20. But the real clue here is the stairs. 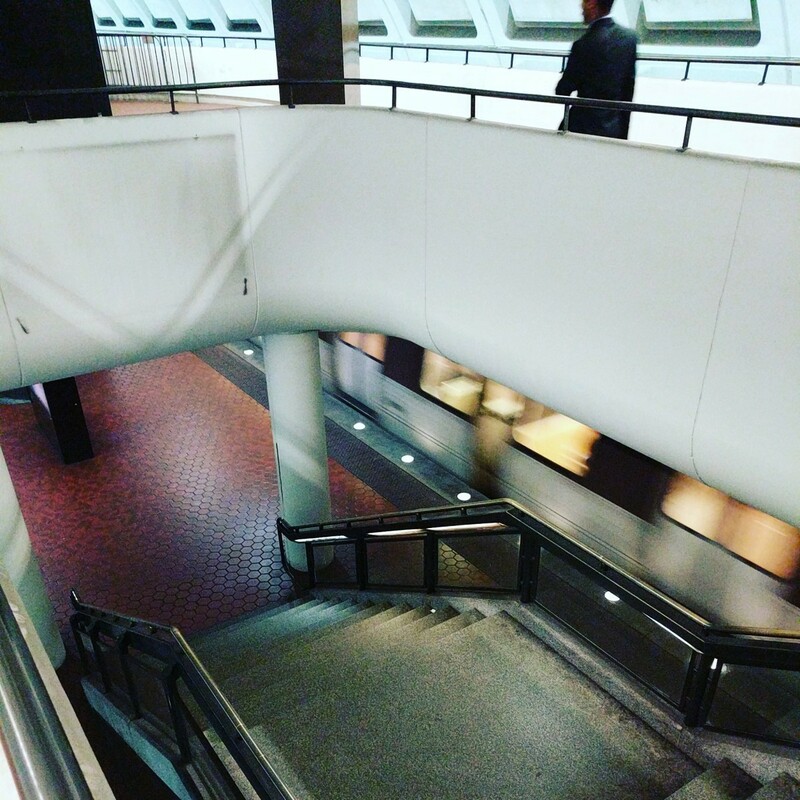 Very few of Metro's older stations (which the waffle stations are) have stairs. At most of the waffle stations, the only vertical circulation elements aside from elevators are escalators. The stairs should have allowed you to narrow this down significantly. Waffle style stations with stairs embedded in the mezzine (as opposed to at the end) include Court House, Metro Center, Navy Yard, and Capitol South. You can discount Metro Center because the island platform there is significantly wider than it is at Capitol South, and the stairs are also wider there. So how to pick? There's one other clue. The station has been painted. Only a few Metro stations have coats of paint, most recently Union Station. Painted stations include Archives on the Green and Yellow lines, Farragut North and Union Station on the Red Line, and Federal Center SW, Capitol South, Eastern Market, and Potomac Avenue on the Blue, Orange, and Silver Lines. Only Capitol South finds itself in the list of stations with stairs and a painted vault. Two of you came to the correct conclusion. Great work, everyone. Thanks for playing! We'll be back in two weeks with challenge #130.